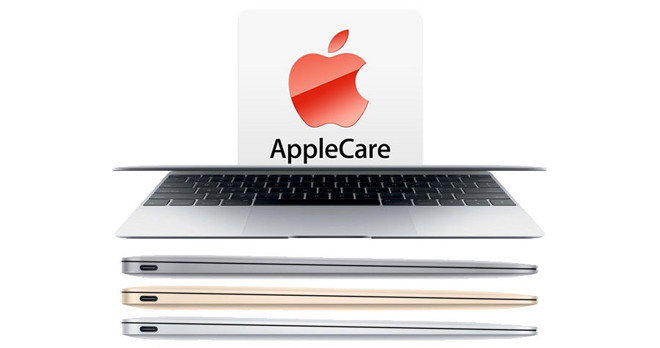 Apple authorized reseller Adorama is exclusively offering AppleInsider readers over 50% off AppleCare extended warranty protection plans this month with each Early 2015 12" MacBook. What's more, each bundle also ships free and Adorama won't collect sales tax on your purchase if you ship it outside NY and NJ. To take advantage of this offer, apply promo code APINSIDER during checkout to get the advertised price. DEAL EXPIRED: Below is a list of all 12" MacBook configurations that include at least 50% off AppleCare with free shipping. The discounts listed in red are the discounts for the 12" MacBook with AppleCare when compared to Apple's pricing for the same bundle. It does not factor in any tax benefits, which are additional savings. In total, most shoppers will realize a net savings of between $323 and $457 when compared to purchasing these same bundles at an Apple Store a full price with tax. % Price after promo code APINSIDER. If you're not interested in AppleCare and instead are just looking for the lowest net price on the + 12" MacBook by itself, the same APINSIDER promo code will knock an additional $35 off Adorama's already reduced pricing on all 12" MacBook models. Eligible configurations can be found in our Mac Price Guide.